Suzanne Hull will be on Insight on Business “the News Hour with Michael Libbie” on Tuesday, October 25th, to talk about Christkindlmarket Des Moines coming up on December 2 – 4! Tune in to AM-940 or FM 104.5 at 5:05pm. For those with an HD receiver they’re at 103.3 HD2. DMEHA is excited to have had the opportunity to further display her work by using her design featured below on our 2016 Glühwein mug. 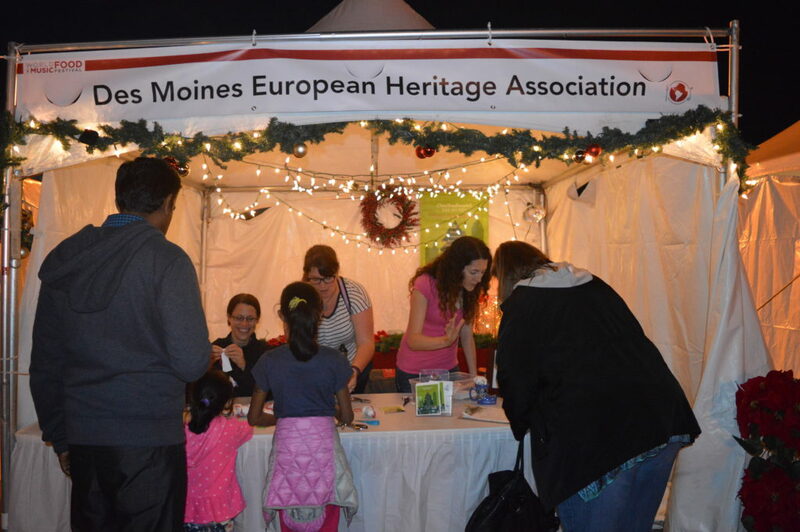 Guarantee your Glühwein mug this year by making a donation of $25 or more to Des Moines European Heritage Association. Betsy grew up on the north side of Des Moines and attended Saydel High School. Upon graduating, she attended the University of Iowa and earned a Bachelor of Arts degree with majors in English Literature and political science. 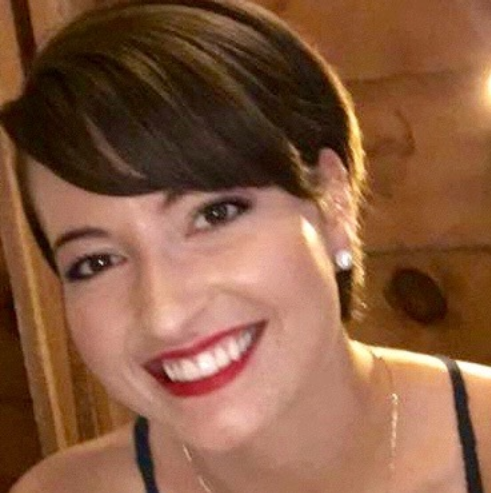 Betsy currently resides in Des Moines, and is a program planner for the Iowa Department of Human Rights Division of Criminal and Juvenile Justice Planning. Betsy enjoys gardening, painting, and playing the Ukulele. 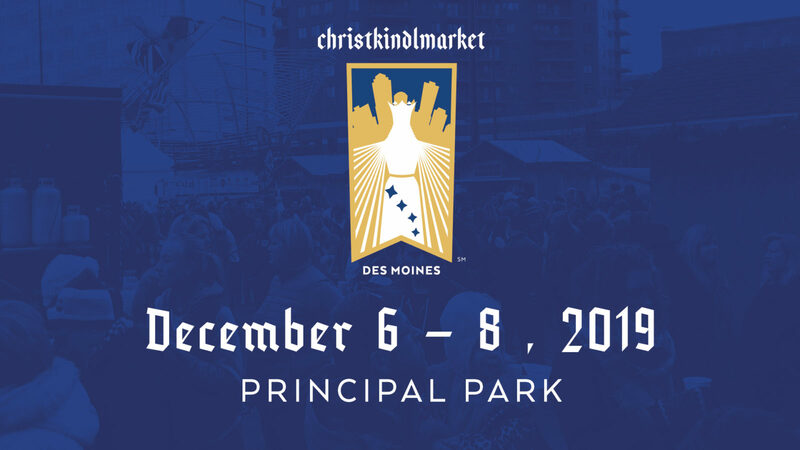 Betsy learned about Christkindlmarket Des Moines while walking past a booth at the Des Moines Art Festival and questioning why, in the summertime, there would be a booth decorated for Christmas. She soon found out about the Christkindlmarket and immediately wanted to get involved for the diversity the organization offers— there are so many volunteer opportunities available based on where your interest lies. 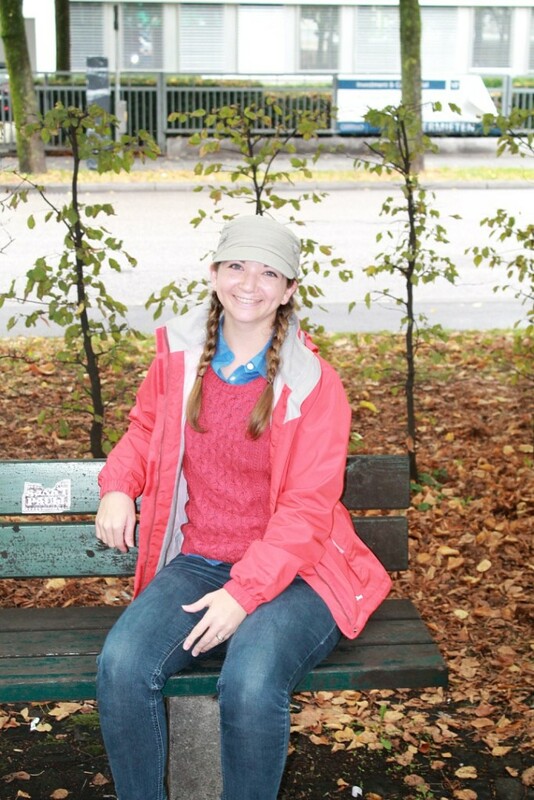 Betsy believes others should get involved because it gives you the opportunity to give back to the community while also learning about different cultures and customs. Mike grew up on the east side of Des Moines and attended East High School. Upon graduating, he went on to earn a Bachelor of Arts degree in journalism and mass communications, with a minor in music performance from the University of Iowa. 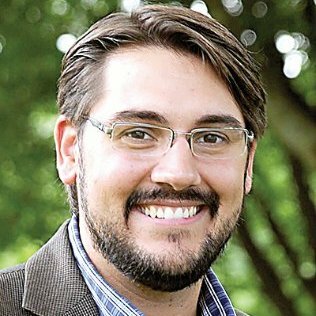 Mike currently resides in Des Moines, and is the editor of two weekly newspapers in the state: Jasper County Tribune and Prairie City News. Mike enjoys Star Wars lore, indie classical and jazz music, and listening to Iowa Public Radio. Mike learned about Christkindlmarket Des Moines while taking in the sights and sounds of the Des Moines Arts Festival this summer. Mike is volunteering to help a worthwhile culturally-minded non-profit become established in the Greater Des Moines Area. 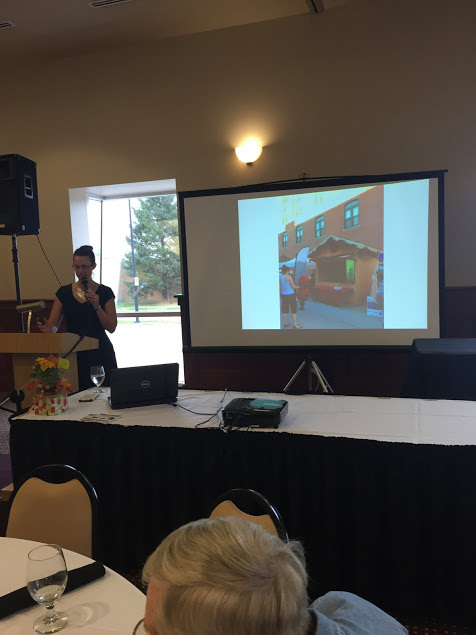 The group enjoyed hearing about DMEHA and what they have planned for Christkindlmarket Des Moines taking place at Cowles Commons December 2 – 4, 2016. If you’d like Suzanne to make a presentation to your networking group or community organization, please contact her at suzanne.hull@dmeha.org. 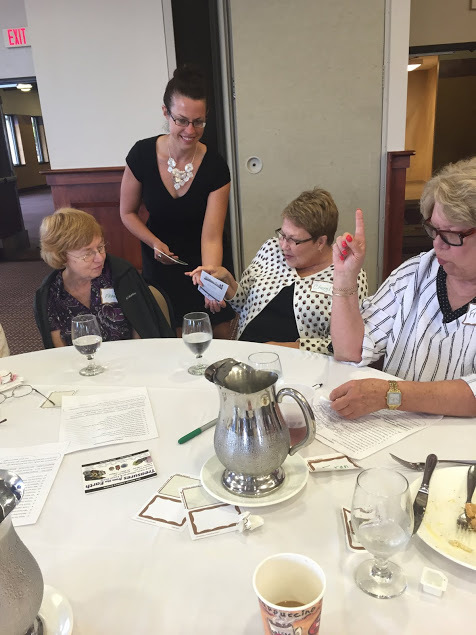 DMARSPA is an association of retired school personnel residing in the Des Moines, Iowa area. It exists to provide opportunities for entertainment and social interaction between members. In addition to being a Platinum sponsor for Christkindlmarket Des Moines, Ingersoll Wine & Spirits is providing the Glühwein for Christkindlmarket Des Moines 2016. Glühwein is a traditional German red wine that is heated, flavored with seasonal spices such as cinnamon sticks, orange juice, cloves, zest, and sugar. Thank you Ingersoll Wine & Spirits for being a Platinum sponsor of Christkindlmarket Des Moines and we look forward to their support for the first annual event. My name is Missy Mootz, and I grew up in Iowa before broadening my horizons for 4 years in Minneapolis and 3 years in Zurich, Switzerland. I am currently a stay-at-home mom of one (soon to be two in December). I married my college sweetheart who provided me with the opportunity to experience all that Europe has to offer. I got involved in Christkindlmarket Des Moines for two reasons. I was looking for a connection to the life I had just lived for 3 years in Switzerland, and I wanted to get involved in the community. Luckily, I came across this opportunity, and it has already exceeded my expectations. I can’t wait for the first inaugural Market to start some new traditions with my family! Anyone and everyone should get involved with this event. Even if you are just a visitor this year, I guarantee, once you experience a Christmas Market, you will want to do it over and over again. Everyone should have access to experience new cultures and old traditions regardless of where you live. 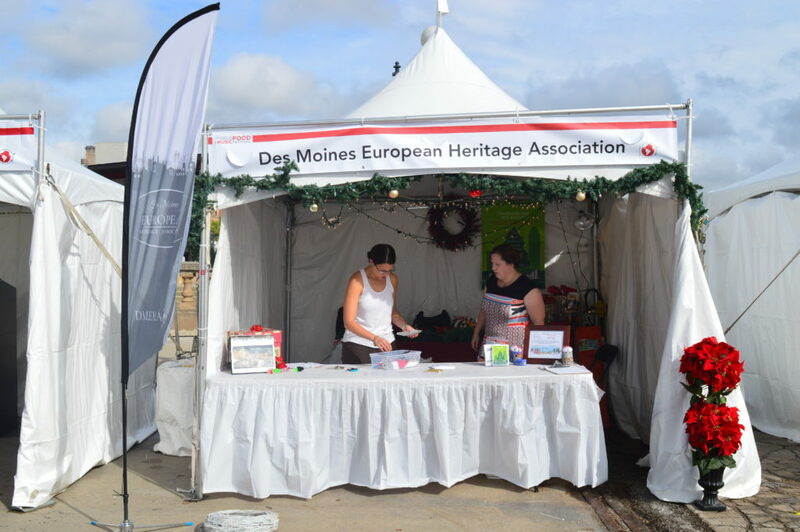 Thank you to all who attended the Des Moines World Food and Music Festival and came to visit the Des Moines European Heritage Association booth. The festival was filled with food, friends, and families, and provided DMEHA and Christkindlmarket a way to get more of the public aware of our upcoming events and activities. We had several wonderful volunteers manning the booth and passing out our informational sheets for CDM and DMEHA. Volunteers helped children make Christmas ornaments as our gift to them and we received feedback and talked to interested parties in either coming to the festival or getting our monthly newsletter. Thank you once again to everyone who attended and helped make it such a success. We’re pleased to announce that the Sons of Norway are a Silver Sponsor of Christkindlmarket Des Moines!